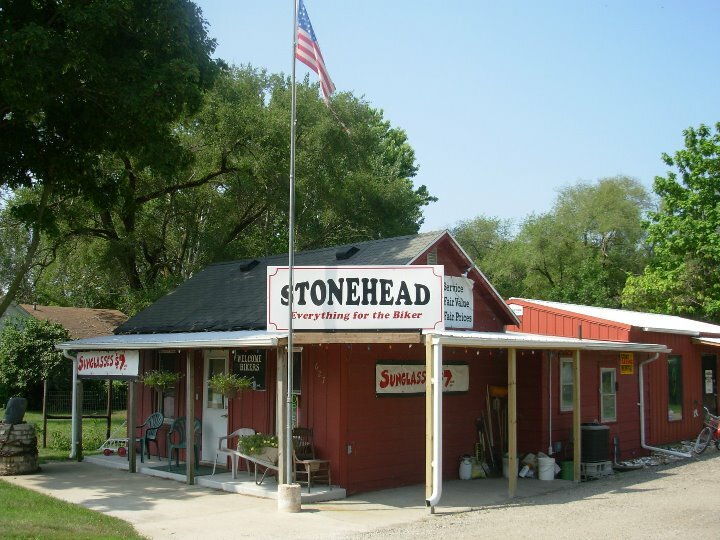 We are located in the quaint village of Utica, IL; just outside of Starved Rock State Park. We are near Mattheissen State Park and Buffalo Rock State Park. We specialize in motorcycle leather and motorcycle riding accessories. The owners, Keith and Darsi have been riding for 40 years and are very knowledgeable about your biking needs. We carry a wide variety of men’s and women’s leather jackets, chaps and vests covering a large size range. We have a large selection of doo-rags, gloves, clothing and jewelry. We have over 2000 patches in stock to customize your leathers. We also do custom work making gun holsters, shoulder holsters, phone cases, repairs, and various other leather needs.